Vundablog.com: October 8th and 9th we have 2 live Podcast Panels at Ultracon of South Florida! 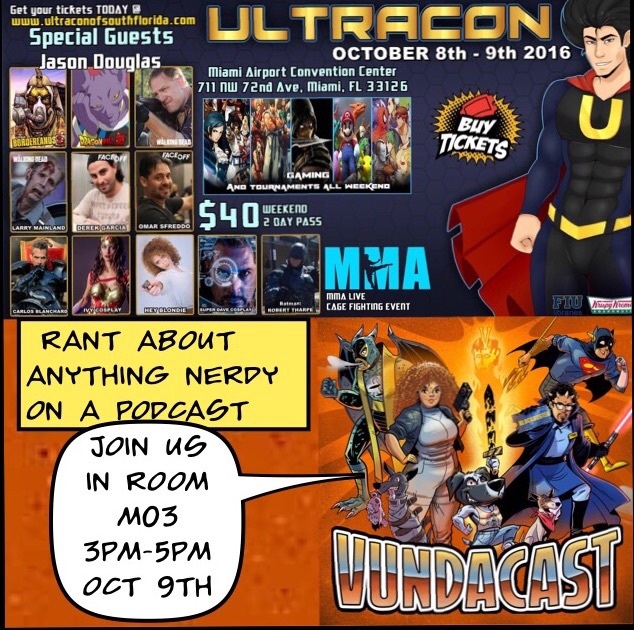 October 8th and 9th we have 2 live Podcast Panels at Ultracon of South Florida! We invite you to join us at the Miami Airport Convention Center this weekend to explore and enjoy Ultracon of South Florida in all it's glory. After the storm the place to be will be Ultracon to socialize, shop, and enjoy some of the best panels the South Florida convention community has ever had. We have two panels you can attend! Both panels will be recorded and will become a part of Vundacast history. 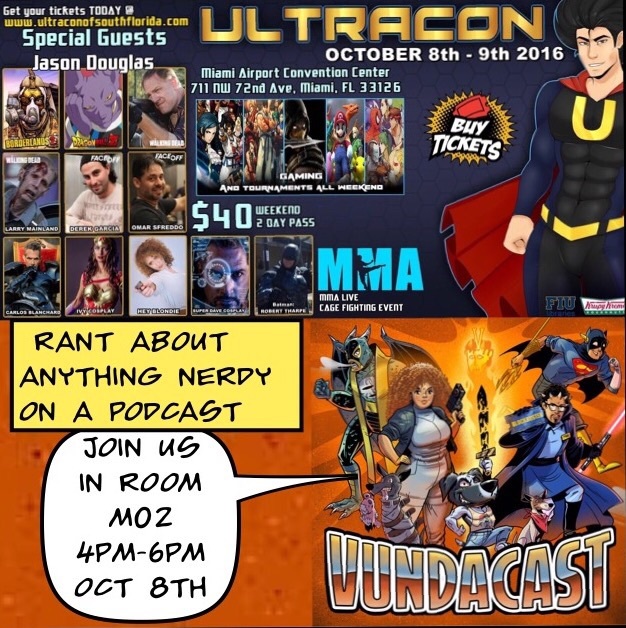 Come participate, discuss, rant, and win cool nerdy prizes! Join our Vundacast hosts and come see what a podcast is all about. Subscribe to us on iTunes and get a peak at the nerdiness we put into the world!